Site administrators can add new users by following these steps. From your site’s Dashboard, select Users -> Add New. In the Add Existing User section, type the user’s complete UD email address (UDelNetID@udel.edu) in the the Email or Username field. Repeat steps to add additional users. If you require a large number of additional users, contact the IT Support Center (external link) for assistance. Anyone with a UDelNetID and password can create an account themselves. Click Log in at the top left of the window, enter your UDelNetID and password on the Shibboleth Authentication Service screen and click the Log In button. Submitting the form will automatically create a WordPress account. In order to encourage UD faculty and staff to invite external contributors to their sites to collaborate, teach, or interact, Information Technologies has created the WordPress Guest Accounts Web form. 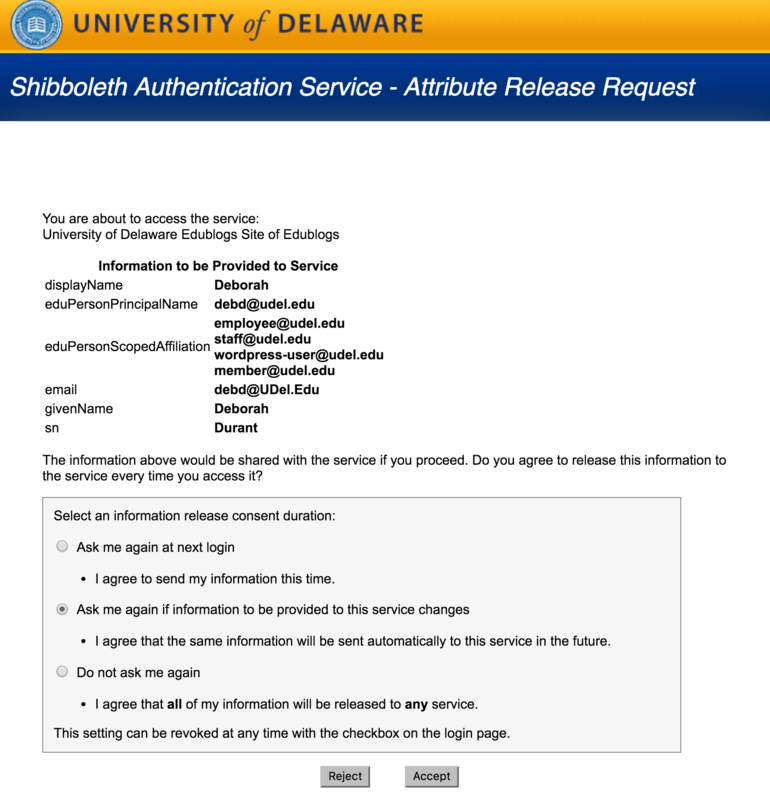 This self-service system is designed to give access to external contributors who do not possess an “@udel.edu” email address. Any question about this service should be directed to the IT Support Center.